Product Consists : Axe Rise Up Shower Gel (Weight : 250 ml), Axe Excite Aftershave (Weight : 100 ml) along with Axe Gold Temptation (Weight : 150 ml) altogether arranged in a Bag. 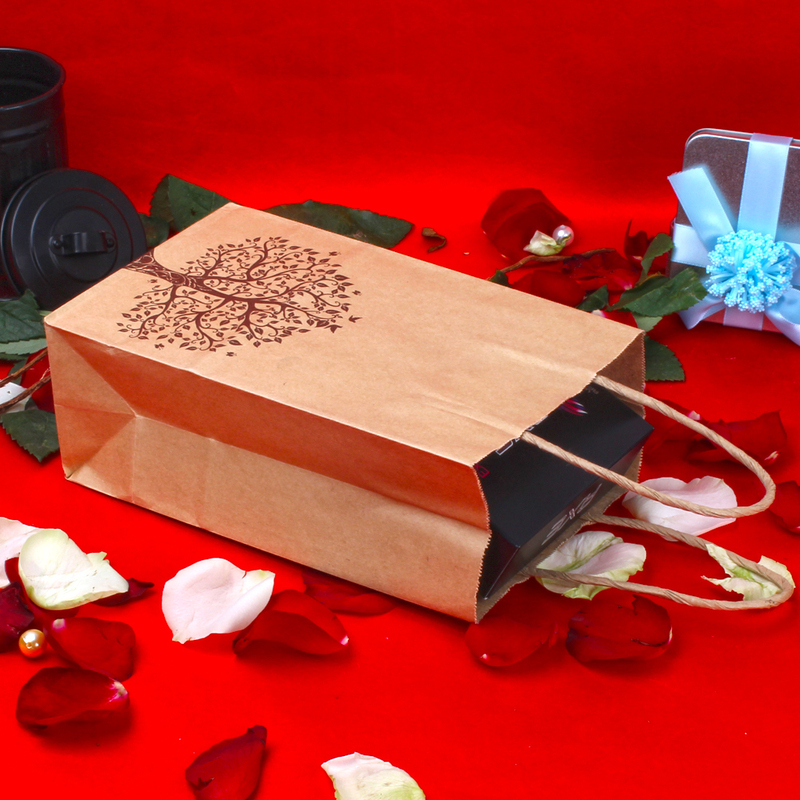 Surprise your loved one with this special gift which has a Body Spray, Perfume and Shower Gel for men. 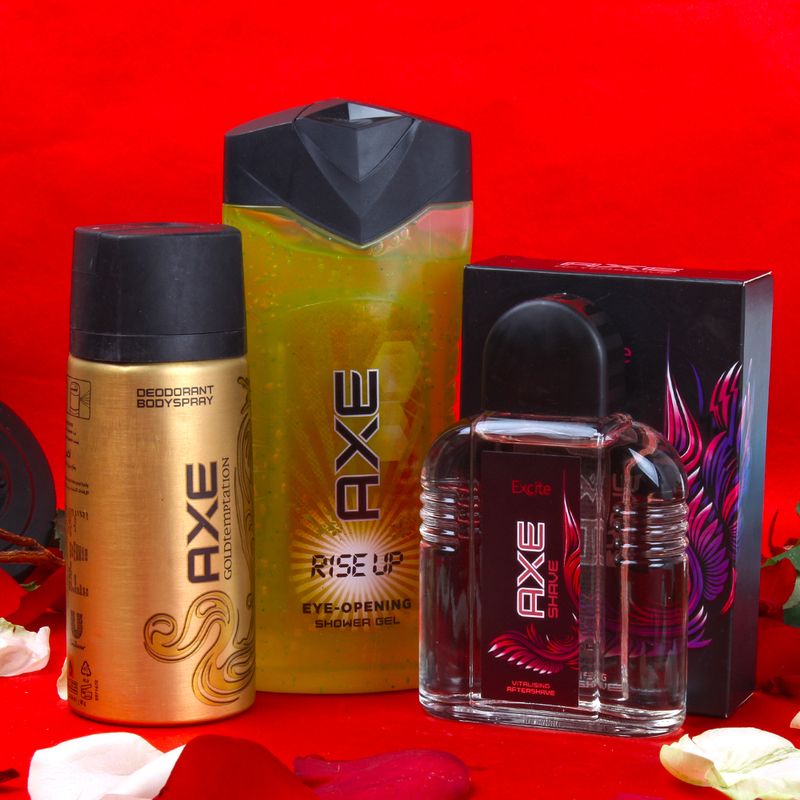 An irresistible Combo from Axe, for the tempting personality. 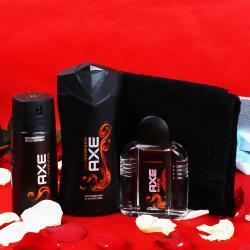 Get Axe Excite Aftershave, Axe Gold Temptation Deodorant and Axe Rise Up Shower Gel in a single hamper pack. You can switch between two super charged fragrances and never run out of irresistibility. Giftacrossindia brings to you this exclusive item which is all set to bring smile on the face of the receiver. 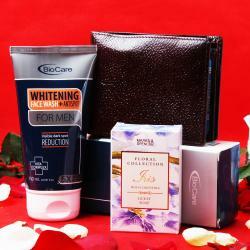 This refreshing and skin nourishing gift hampers is bound to make him feel handsome and more dashing. Combo includes : Axe Rise Up Shower Gel (Weight : 250 ml), Axe Excite Aftershave (Weight : 100 ml) along with Axe Gold Temptation (Weight : 150 ml) altogether arranged in a Bag.